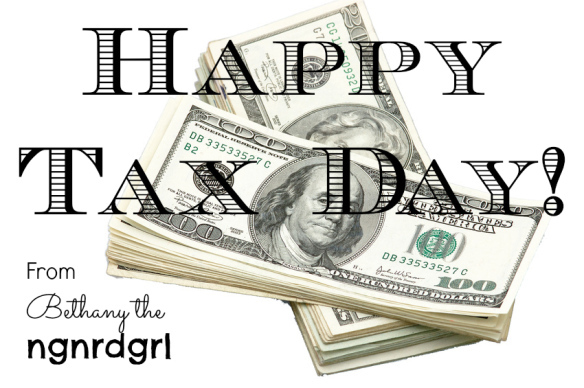 Making My Stead: Happy Tax Day! Or at least I hope it is happy for you. Hopefully you completed your taxes on time and you didn't have to pay more. I remember one year I had to pay around $250. It sucked. This year we got some pretty good refunds. My fiancé was laid off in February of 2012. He collected unemployment all year. This time he set it up so they would take out taxes, which isn't the default. Last time he was on unemployment (yep, this was his third time being laid off), he ended up having to pay more taxes, which is a real burden for someone who is making less than half what they would if they were working. Half way through the year he got accepted into worker retraining and was able to go back to school with assistance. Let's just say he over paid his taxes a good sum due to going to school. We used his tax refund to buy plane tickets this weekend for my stepson to come out here. This will be the first year he flies out by himself. In the past, my fiancé flies out there, picks him up, then flies back with him, and then does it again to return him. This would typically cost us around $1500 in plane tickets. Of course, it is worth it to have our son out here for 8 weeks during the Summer. Summer of 2011 my sister-in-law helped us out by escorting him out here. We spent $1000 that year for the two of them to come out. My fiancé's sister had just graduated from high school, so it was our graduation gift to her. Plus it saved us money and we got the benefit of spending the Summer with her. This year we spent $1000 for just our son to come out. It cost a little more since we didn't choose the cheapest airline but chose the one that allows for unattended minors to have a layover. It also cost us $150 each way for him to be assisted by flight attendants between planes. With United Airlines, a 12-year-old can fly as an adult and not be escorted by flight attendants, but that scared all of us involved, including my stepson. He seems reassured that he will have help between flights. He is pretty nervous about flying alone this year, but he has flown three years in a row and I am sure he will feel comfortable doing it alone after doing it once. 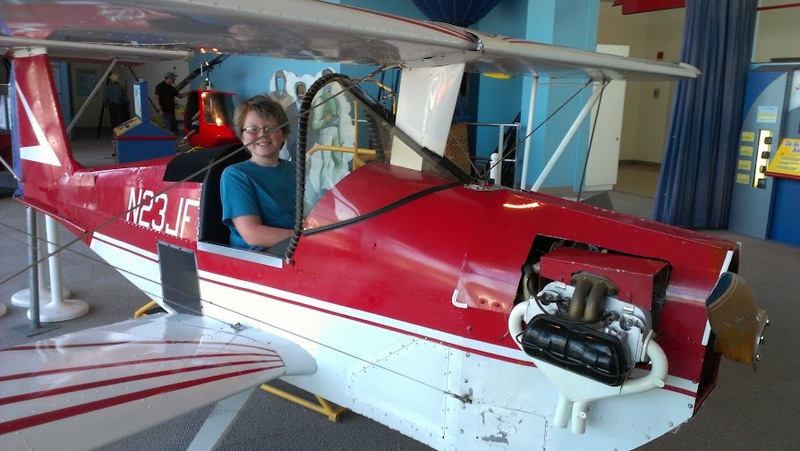 My stepson in the cockpit of a plane at The Boeing Museum of Flight (2012). Hopefully this isn't how he will be flying to us this year! I am pretty good about putting my tax refund into savings. I really want to save up for a down payment on a house. Houses are just so darn expensive here. I keep debating on whether to try buying one now, or wait till the fiancé has a job. The housing market is starting to bounce back. There is also now a shortage of houses, as people are choosing not to sell and wait for the market to return to a sellers market. This means prices are starting to go up and I am sure lending rates are too. I did, however, put some money into my new camera. I'm not sure if that counts as spending my tax refund or my Christmas bonus. Or a little of both, since I purchased it between the two. Do you allocate your tax refund for something fun? Or are you good and put it straight into savings or paying down debt? Hopefully you didn't have to pay this year! Disclaimer: Clip art of cash courtesy of Microsoft Office Images. All rights reserved to their respective owners. How fun! Really good way to spend it :) He is a cute kid! I spent my tax refund on credit card debt! We had to use it when my husband was finishing up school and we literally had no money. So freeing to be done with it! That is a good way to spend it. He and I are opposite when it comes to our tax refund. He usually spends it all on fun stuff while I put it into savings. Well, I'm sad to say Terry and I usually end up paying taxes. (This will be the third or fourth year having to do so.) We usually wait until the end to file. I don't really mind paying taxes, though. I like Social Security, Medicate/ Medicaid, roads and bridges, and helping to support our society! I can't think of a better way to spend that tax refund - - quality time with your step-son is priceless! Taxes give me a headache; we think next year, we might even hire someone to do them for us...since it ends up sucking the life out of us. 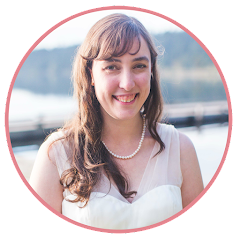 (This year was particularly tricky since we moved halfway through the year...and between the two of us, had five different sources of income.) Sigh. Anyway, this post was a breath of fresh air on tax day! Excited for you three! What a sweet little guy! We put our refund straight into savings bc we're hoping to buy a new house in the not-too-distant future! Hope you're having a great week!